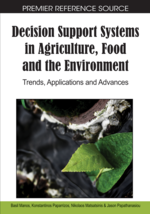 This paper deals with a comparative analysis of alternative methods of constructing composite indicators to measure the global sustainability of the agricultural sector. The comparison is implemented empirically on the irrigated agriculture of the Duero basin in Spain as a case study. For this purpose, the study employs a dataset of indicators previously calculated for different farm types and policy scenarios. The results enable us to establish a hierarchy of policy scenarios on the basis of the level of sustainability achieved. By analysing the heterogeneity of different farms types in each scenario, it is also possible to determine the main features of the most sustainable farms in each case. All this information is useful for the support of agricultural policy design and its implementation, as we attempt to improve the sustainability of this sector. Agricultural sustainability does not have a single meaning. Hansen (1996) identified two broad interpretations of the concept of agricultural sustainability. The first focuses on a normative approach in response to concerns about the negative impacts of “conventional” agriculture. This approach relies on the implementation of “alternative” agriculture (ecological agriculture, conservative agriculture, etc. ), as an ideological option to achieve a set of values that should characterize this sector. The second meaning takes a positive approach, and focuses on the ability of agricultural systems to satisfy different demands through time. As has been pointed out by Hansen (1996), only the latter meaning is useful from a scientific point of view. In this paper, therefore, we adopt this approach. However, it is worth pointing out that the selected concept of sustainability has several difficulties that limit its empirical use in the real world. First, we have to deal with the temporal nature of sustainability. Indeed, this meaning of sustainability, which is related to the preservation of production capacity, has little practical value because of the infeasibility of long-term experiments. Second, we have to deal with the difficulty of identifying the demands that must be satisfied by the agricultural sector if it is to be regarded as sustainable. In this way, sustainability can be interpreted as a social concept that can be modified in response to the requirements of society. Thus, sustainability concept must be regarded as being both local and time-specific. Both difficulties have limited the usefulness of this concept as a criterion for guiding agricultural development. In order to avoid the difficulties mentioned above, a wide consensus has emerged, which considers that the concept of sustainability embodies three main dimensions: environmental, economic and social (Yunlong and Smit, 1994). It can thus be assumed that an agricultural system is sustainable when the trade-offs between the objectives considered for public evaluation of its performance (economic objectives, such as income growth or macroeconomic stability; social objectives, such as equity or the cover of basic needs; and ecological objectives, such as ecosystem protection or natural resources regeneration–) reach acceptable values for society as a whole (Hediger, 1999; Stoorvogel et al., 2004). This approximation to agricultural sustainability allows its use as an operational criterion, by using a set of indicators that will cover the three dimensions mentioned above. However, the quantification of agricultural sustainability through a set of indicators still has certain shortcomings. The main inconvenience comes from the difficulty of interpreting the complete set of indicators. In order to avoid this problem, it has been suggested that the analysis of agricultural sustainability can be tackled by aggregating this multidimensional set of indicators into a single index or composite indicator. This approach has been used, for example, by Stockle et al. (1994), Andreoli and Tellarini (2000), Pirazzoli and Castellini (2000), Sands and Podmore (2000), Rigby et al. (2001), van Calker et al. (2006) and Qiu et al. (2007). Nevertheless, the aggregation of indicators has been frequently criticised for: a) the subjectivity of the methods employed (the choice of functional forms for aggregation and weighting for individual indicators), and b) the compensability usually regarded as aggregating the individual dimensions or attributes of sustainability (additive aggregation approaches), in spite of their theoretical incommensurability. For further details see Hansen (1996), Bockstaller et al. (1997), Morse et al. (2001), Díaz-Balteiro and Romero (2004), Ebert and Welsch (2004), Munda (2005) or Böhringer and Jochem (2007).